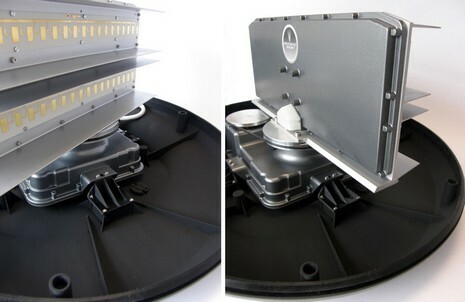 Navico product manager Greg Konig told me that the company is testing Broadband Radar against competitor’s 2 and 4 kW domes and open-arrays with good results. He said that Broadband’s near-range target resolution is “absolutely unmatched” and that it’s better than most sets out to 10 miles. But he was clear that performance in the 10–24 nm max range is not particularly special, and that 4 kW arrays are definitely better at seeing weather and smaller targets at those distances. On the other hand, he notes, the complete lack of a “main bang” dead zone around a BR-equipped boat, plus the the 2–3 meter range resolution, mean the scanner can distinguish sea clutter very well. He added that they’d had a laugh at a comment to Panbo’s original BR entry about the inability of solid-state radar to see through rain because, in fact, this unit sees through rain so well that they had to tweak it a bit so that rain can show on a target screen. Konig also said that while BR will work well right out of the box, all the normal tuning controls will be available, and that installation will be the “easiest ever.” Apparently the domes will come with 30 meters of thin Ethernet/power cable already attached and ready to run to a junction box below. 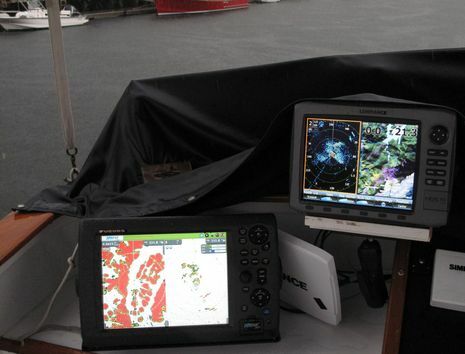 At any rate, I’m thinking that Broadband Radar will be a big deal at the Miami Boat Show, and am pleased to add that I may get some quality on water time with it before then. Previous story JDC Seawatch, gift for a fair-haired fool? 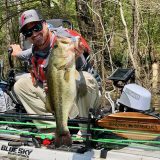 Great article as always Ben! Looks like this will be interesting and it has answered most of the questions we have had over here in the UK at Globe Marine. Andy — the “rubber band” drive I see in the picture looks a lot like the Raymarine radars. It’s actually more of a large O-ring, with concave grooves in the pulleys, and seems to stay on a lot better than the flat drive bands. In fact, you can see the groove on the farther pulley in the photo. http://www.navigate-us.com/files/uploads/file/Review_5_Radar-1-1.pdf was just posted on http://www.thehulltruth.com and appears to be knocking some of the gloss off claims for Navico,s Broadband Radar. I hope some wiser heads here can comment. Yesterday I went to the Seattle Boat Show. Not much to report about “Broadband Radar”. It is coming sometime this year. There were no prototypes to look at and MARPA doesn’t sound like it will be available, at least when first released. I was hoping that with an Ethernet output I would be able to plug this into my laptop computer, this doesn’t appear to be possible. Hopefully I am wrong. No MARPA and no direct connection to my laptop = No Sale. My old Furuno works just fine and I have no desire to replace it, but I would like a second radar, but I have no place to mount the display. No MARPA, really? No MARPA, as in no ARPA either ? 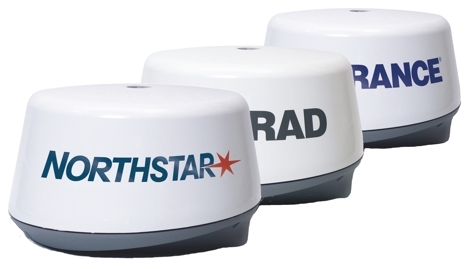 As stated in the entry, I believe there will be MARPA in the Simrad and Northstar versions of Broadband Radar. I should be able to check that, and much more, in two weeks when Navico sea demos the gear just before the Miami Boat Show. My old Furuno 1621 died and I am looking for a replacement soon as I have a lot of miles to cover this year. This radar looks to have a lot of potential but at this point is vaporware: it is not shipping and the design is not complete. A previous article notes that it is “very close to delivering excellent IR” but wasn’t on the beta unit. MARPA (ARPA) is going to be on some versions but is not being shown yet. And the displays it is going to be mated to (NX40/45) are a generation behind Furuno and Raymarine (no internal 2000 i/f, 3D charts, ARPA). Greg, if Broadband Radar was actually “vaporware” then myself and lot of other writers wouldn’t have been on Biscayne Bay seeing a nearly complete Beta version in action. Otherwise your comments are valid. It’s also worth noting that Furuno NavNet 3D was introduced with great fanfare in Oct. 2007, but was not truly available until the summer of 2008, or later, and it still had issues that Furuno has been steadily working on. It’s a fantastic system, I think, but early adopters suffered some pain. It may well be the same with Broadband Radar, though I don’t know that. To the best of my knowledge, Navico has been promising to ship it in the 2nd quarter, which gives them until the end of June. Do you know something different? I read through Bill Mullarkey’s excellent review of the differences between typical pulsed radars and this ‘new’ technology, FMCW. It’s actually nowhere near as new as you’d think from all the fanfare, since Signal began marketing its FMCW ‘Pilot’ radar as far back as 1988. What makes this newbie attractive is the price (component costs have tumbled dramatically over the past 20 years) and some pretty serious legwork by Kelvin Hughes, who came out with their own vaguely-similar product [SharpEye] a couple of years back, and have only recently been able to get ITU/IMO type-approval. Now, about Bill’s article, I must point out that there is a substantial gap in his analysis, related to Doppler: it’s all very well measuring the range of a static object but, when your own boat has the bone between its teeth and you have other fast-moving craft around you, a good portion of the measured frequency difference is derived from Doppler effects, rather than distance, making range-accuracy an interesting challenge – especially if the radar uses only one frequency ramp. If the designers have provided two ramps (going in opposite directions or at different sweep rates, for instance), then it becomes possible to decouple some of these Doppler effects – but you will still want a log input to derive an own-speed correction. I see no evidence of Navico having made provision for either. But don’t let this ‘gap’ put you off – if you need to navigate in confined waters, especially in restricted visibility at slower speeds, it’s kinda hard to beat an FMCW system for the clarity it provides. 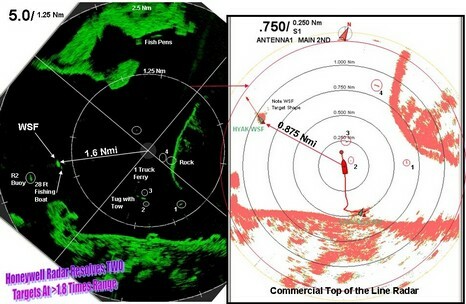 Ben … Great article in Cruising World on Broadband Radar. In the article you don’t use the term … are you saying there is less, much less, or no sea clutter ? 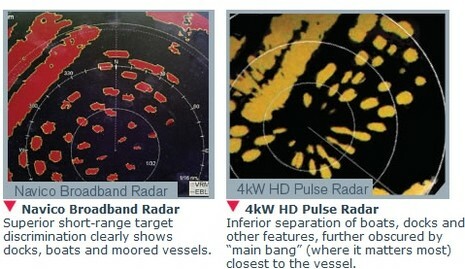 I’ve had considerable experience with the Broadband Radar series, from the original BR-24 to the latest version, the 4G. 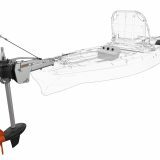 It’s generally true that this family has unmatched close-range performance but, despite anything Navico (i.e. 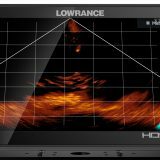 B&G, Lowrance, Northstar, Simrad) might claim to the contrary, the long-range performance, by which I mean anything over about 6-8 nautical miles, is nothing to shout about. I’ve made near-field and far-field power density measurements, measured and characterized the FM waveform, compared horizontal beam-widths with display presentations and a whole bunch of other tests to be sure I’m being fair. And the truth is that I wouldn’t rely on any generation of the Broadband Radar family as my primary radar, except perhaps in very small craft. They’re great for maneuvering around marinas and confined waters, good for threading a way through moorings and lobster pot buoy-fields, and serviceable for detecting pirates lurking in the pre-dawn twilight in their fiber-glass skiffs at about 6 miles; but they don’t trigger radar transponders, the azimuth resolution is chunky at best, and beyond about 10 nautical miles they’re woefully inferior to conventional radars. Emil, so you have a 4G Broadband radar? I think they’re still fairly rare. Does having considerable experience nesseceraly have to mean he owns one? Haven’t you too had the chance to touch and squeeze? Moreover, neither of these sites reveals who actually runs them, or even where they live, which seems a little strange. Pardon me for being so contentious, Emil, but you’re making some broad and authoritative-sounding negative judgments on Broadband Radar technology, and I’ll bet I’m not the only reader who wants to understand their validity. Finally, I also question making blanket statements about what radar range is necessary these days. 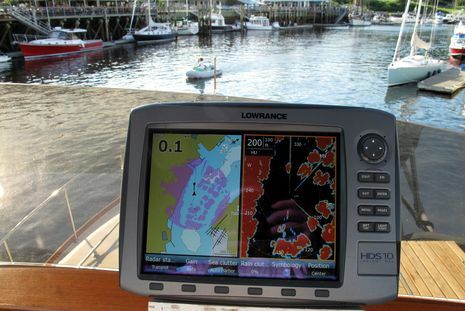 The way radar is used has changed a lot for many boaters.